When is it Necessary to Remove Old Insulation? Old insulation needs to be removed when it becomes moldy, damaged from fire or pest infestations, or has broken down so much over time that it no longer functions. If your insulation is over ten years old, there’s a good chance it’s due for replacement. This is especially true for floor insulation since it starts to lose contact and sag from the subfloor, in which case, the insulation cannot be repaired and must be removed by hand. 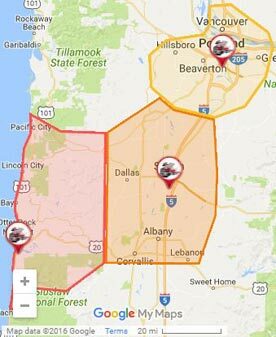 The professionals at The Killers Crawl Space Restoration are happy to offer their expertise to the particular needs of Northwest homes. Removing old insulation is hazardous work that requires technical knowledge to be done properly. We provide above-and-beyond service by evaluating the space for damage and mold, thoroughly removing old material, and cleaning the area before reinstalling new insulation. Since buildings on the Oregon coast deal with extra moisture from the ocean, they require a high standard of workmanship when it comes to weatherization. In these high-moisture regions like Newport, mold and mildew can spread into your home’s support braces and compromise its structural integrity over time. Our insulation experts take care to remove the large batts as well as the residue insulation. We also do the extra work of disinfecting the areas under the old insulation material so joists, flooring, pipes, and ducts don’t develop mold or odor problems. 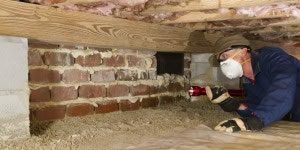 Professional crawl space insulation removal includes an initial inspection, the promise that no mold spores spread during the process, and safe disposal of the old material. Thinking About Insulating A Crawl Space Yourself? Think Again! Insulation material isn’t made to last forever. And though removing and installing it yourself sounds tempting, this is why a lot of homes aren’t properly insulated. Working in a crawlspace is, well, dirty and uncomfortable for most people, so they end up cutting corners to save time in the process. Though shortcuts seem beneficial in the moment, the consequences are long-term. Replacing crawl space insulation helps to keep heating and cooling costs low by reducing or eliminating the air flow between the exterior and interior of a building. Taking care to measure and accurately cut the insulation material so it fits snugly between joists maximizes the impact the job will have on your long-term energy efficiency. 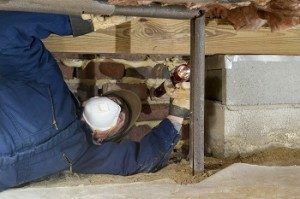 Contact The Killers Crawl Space Restoration for reliable workmanship, fair pricing, and friendly service. The integrity of your home depends on it.